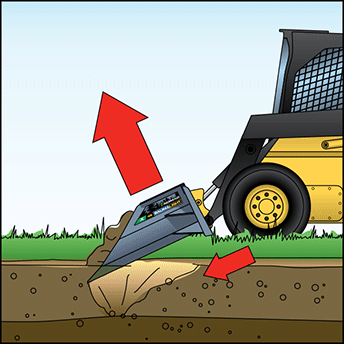 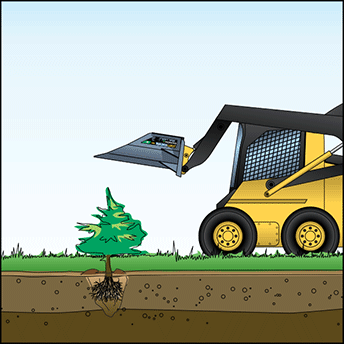 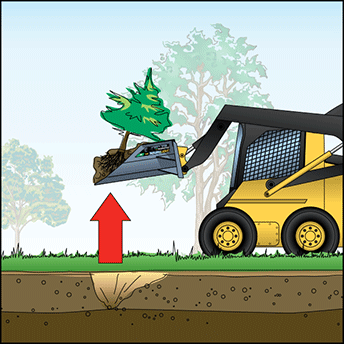 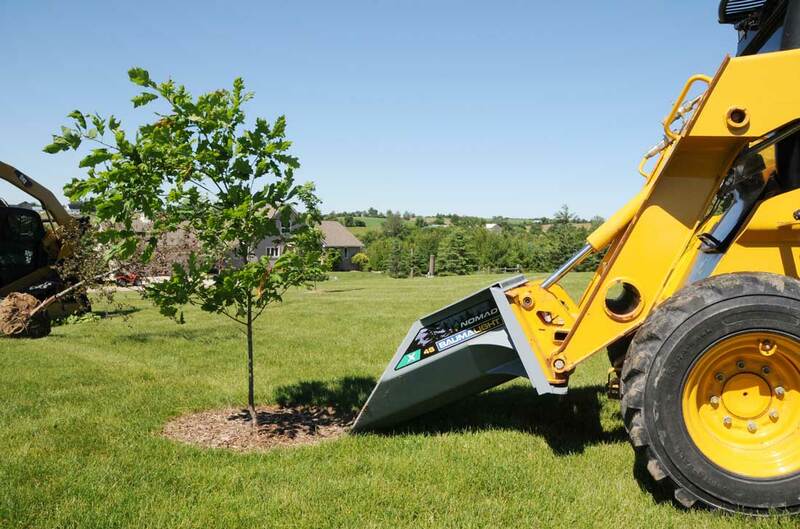 The X4S Tree Scoop is an economical way to move small trees quickly and easily. 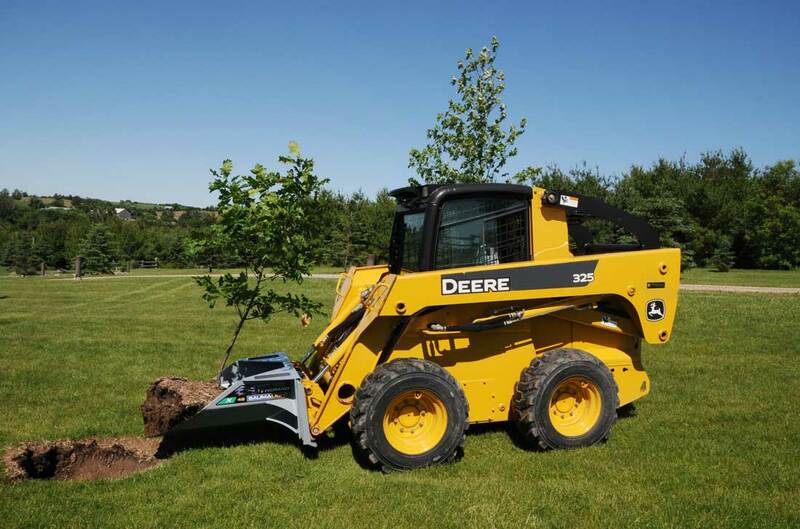 Mounted on a skidsteer, the X4S features a simple and rugged design that gives the operator an excellent view while planting. 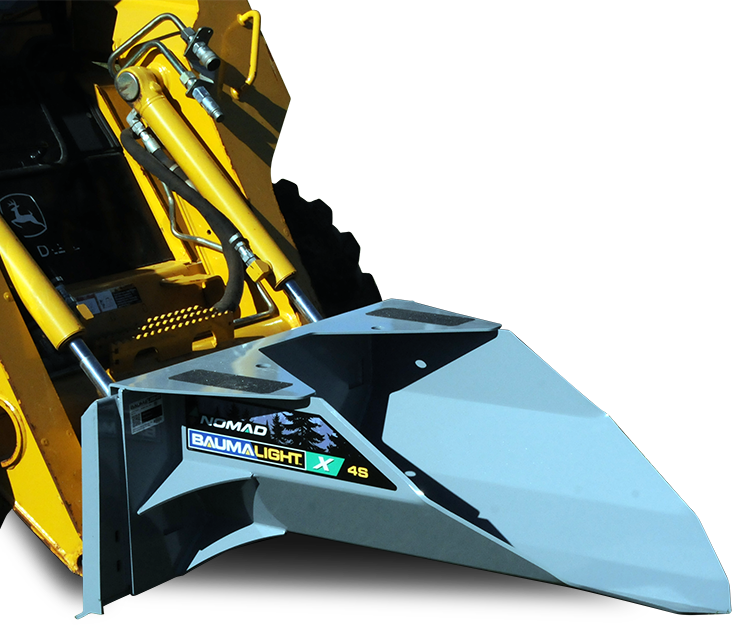 With 1/4" high alloy steel that hardens with use, a reinforced frame and sharp digging point, the X4S is guaranteed to get the job done. 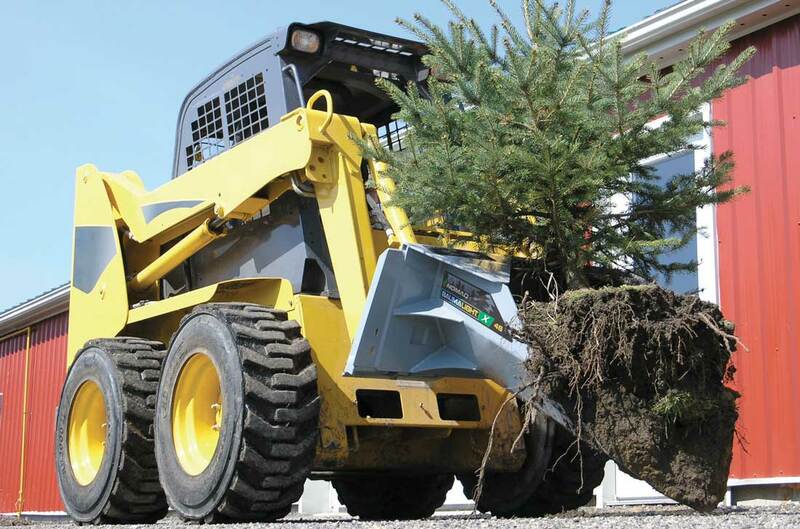 Wheel Loader - 3500 lbs Min. 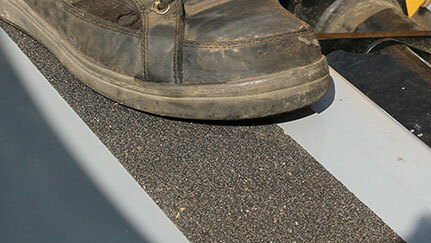 Safety strips on the top of the X4S make getting in and out of your skid steer safe and easier. 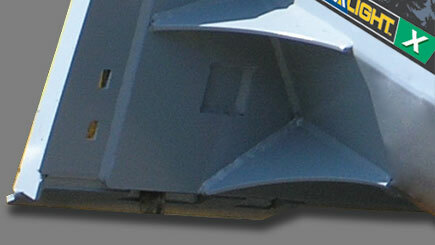 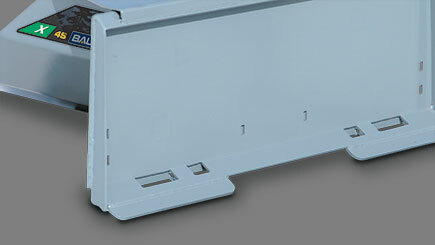 The mounting plate/adapter/tool carrier is double reinforced at both the top and the bottom. 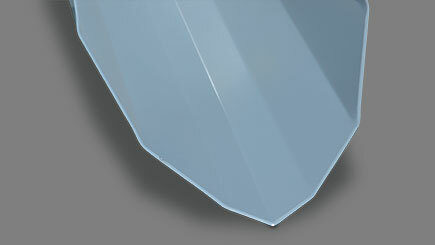 The X4S is gussetted for additional strength.